OVERALL: Ermagerd. This is SOOOOO good! Watch it! POINTS: No missed beats here. Everything in this show is seamless and perfect. Well done. PITFALLS: Nope. See POINTS above. FEMALE CHARACTER(S): Yes. 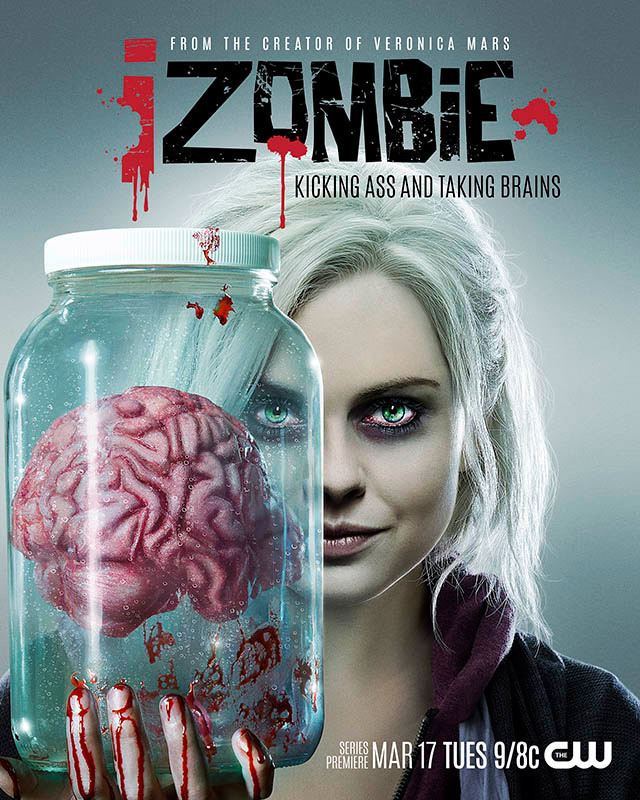 This show is about Liv Moore, very well played by Rose McIver. She’s a well rounded character – future fabulous doctor, great fiance, totally accomplishes all life goals – who finds herself dealing with, well being a zombie. Perfect. CULTURAL PITFALL(S): Hmmm….. I’ll let ya’ know. HIGH POINT(S): The humor. The show is almost Whedonesque in its delivery of danger, action, and wit. Plus some human emotion as well. Perfect. Plus how can you not totally adore the heroine Liv. Yes she makes the show and hooray! The rest of the show rises to the occasion. BECHDEL TEST (Website): 3 of 3 – YES! Best friend to our heroine wanted to talk to her about her future. RACIAL BECHDEL TEST (Website): 3 of 3! YES! We have a multiracial cast and it is good! LION PAW PRINTS: 3.5 of 5. Love it.